Stagnation is the summary characteristic that has been used in descriptions of the shared circumstances in Bosnia and Herzegovina twenty years after the recent war. The stagnation characterizes equally the political, socio-economic, cultural, educational realms. Most importantly, the stagnation characterizes the character of reconciliation and the renewal of mutual trust in inter-ethnic and inter-confessional relations. In all three ethnic communities, ethno-nationalism, combined with and strengthened by its religio-confessional component, has deeply impregnated all structures of social life: the official political discourse, the cultural sphere, the educational system, the media, the discourse of religious communities and their leaders. Added to this are the common phenomena of a decline of cultural and value criteria as well as intellectual and professional standards. The Centre for Education and Culture Akademija Capljina (Centar za Obrazovanje i Kulturu) is a Non-Governmental Organization. It is registered in Bosnia and Herzegovina as an “association of the citizen” and it was officially started on the 25th of April 2013. The fundamental goals of Akademija are to decrease unemployment by providing educational classes and by supporting entrepreneurship through range of courses, act in the field of education and culture through a variety of programs and activities in order to raise educational and cultural standards in the region, and to improve communication and cooperation between different populations sadly divided by the recent war. Foundation for Musical, Performing and Visual Arts Sarajevo (Fondacija za muzičke scenske i likovne umjetnosti Sarajevo), and many others. Our Music School offers professional lessons all year around in singing, piano, keyboard, guitar, mandoline, percussion, accordion and clarinet, as well as in music theory, and welcomes students from all backgrounds, ages and levels. 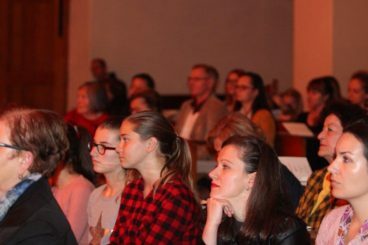 Several different choirs are active within Akademija (Children’s Choir, youth choir "Exultet", and the Adult Mixed Choir) with more than 100 members participating in these activities. By regularly organizing classical music concerts of all its students, and inviting professional musicians from all over the world to perform and teach in different seminars and masterclasses, Akademija elevates the musical culture of its members and of the wider community. The dance school, active during the whole year, offers dance classes with experienced and trained dancers, in an extensive range of styles and disciplines, across all levels of experience – so whether you’re setting foot on the dance floor for the first time, have years of experience, we’ll have the right course for you. Over the course, you will work towards a final studio showcase which will demonstrate everything you have worked on during the course. Courses for children with special needs are also regularly offered.The aim of the school is to make dance culture popular, to connect people from different regions of the country, and to offer a healthy opportunity for socializing and fun. Over 200 students have learned their first dance steps in our school, and are taking part in dance activities organised by Akademija, such as dance evenings, thematic evenings presenting culture and dances of selected countries, and musicals. Akademija has also organised the Urban Dance Festival “Urbanfest” and a dance competition “Capljina plese” (“Capljina dancing”). 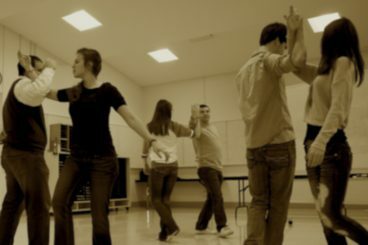 Dance courses offered are: Standard Ballroom Dances (Foxtrot, Waltz, Tango, Quickstep), Latin American Ballroom Dances (Cha Cha, Rumba, Jive, Samba), Social Dances (Rock’n’Roll, Mambo, Salsa, Argentinian Tango, Polka, Merengue, and others). 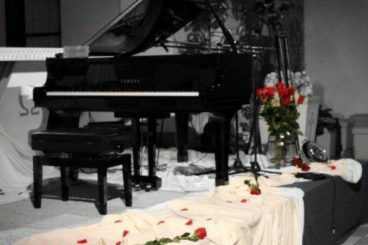 International Music Masterclasses, first of its kind in Bosnia and Herzegovina, is a project that will achieve greater cooperation among Eastern European countries and increase professional and private capacities of European musicians through training and education. It will contribute to the developing of young musicians’ careers and employment; connect and establish cooperation between people of different religions, races, nations and worldviews through music; expand the number and range of musicians trained through its activities; provide skills, competence and expertise that strengthens the sector; establish and develop cooperation between Music Universities in Bosnia. 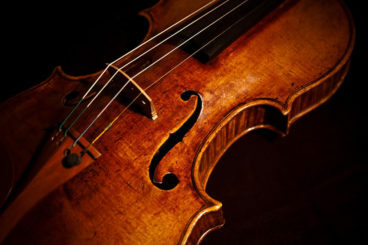 Ardea has set up a transnational network of organizations located in Croatia, Slovenia, Bosnia & Herzegovina and Germany, engaged to provide an excellent and diverse form of musical education and performances to young talented classical musicians, by jointly exposing them to masterclasses with world-renowned musicians. The art workshop is also an important activity throughout the year. Around 50 students of different ages have passed through the workshop, some of whom have demonstrated exceptional talent. Generally, art is important in every individual’s life as well as in the whole community. 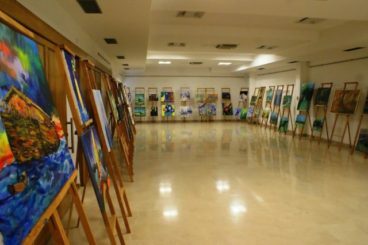 Akademija has also equipped its own space for exhibitions (a gallery), where all artists (amateurs as well as professionals) have the opportunity to exhibit their works. This year, Akademija is starting an „International Art Colony“, thus working on strengthening the awareness of coexistence. Foreign languages school is also active all year round. Since 2013, Akademija offers courses in foreign languages (English, German, Italian, and Spanish) and also in Croatian for foreigners. Courses are in high demand, demonstrated by the number of participants (around 600). The program is based on standard EU level textbooks for learning foreign languages. Multi-language parties and theme nights, such as “Spanish Culture Evening” and “German Culture Evening”, are organized to allow socializing among participants and to introduce different cultures to them. INFO CLUB is active all year round. 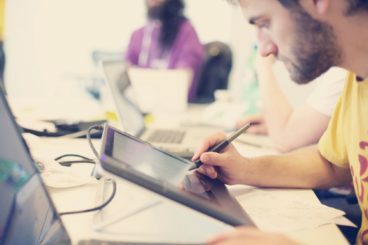 It organizes courses of computer literacy, software development and IT in order to increase employability (Unemployment rate in Bosnia is among highest in the world – over 43%) and is very well equipped. In addition to this, it provides lessons and instructional classes in mathematics, physics, chemistry and other school subjects.